2. Click "First Time User? Create an Account." 3. 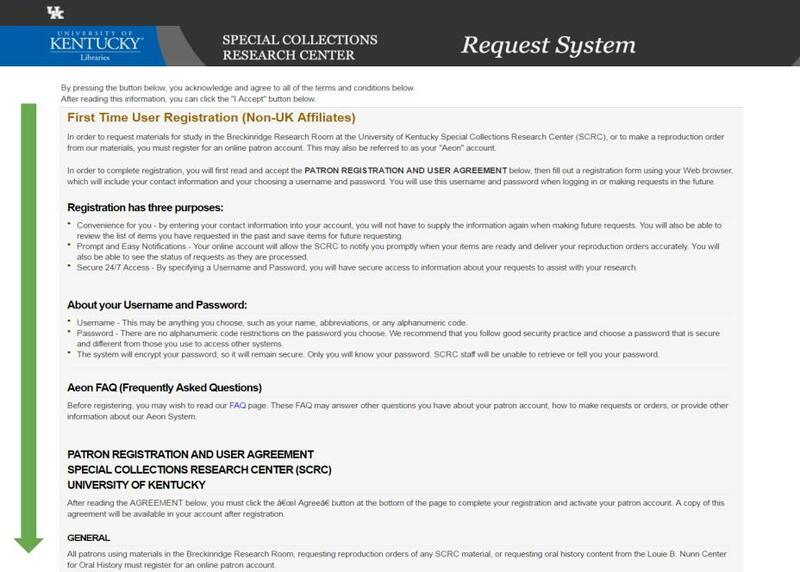 A first time user registration terms and conditions page will appear. 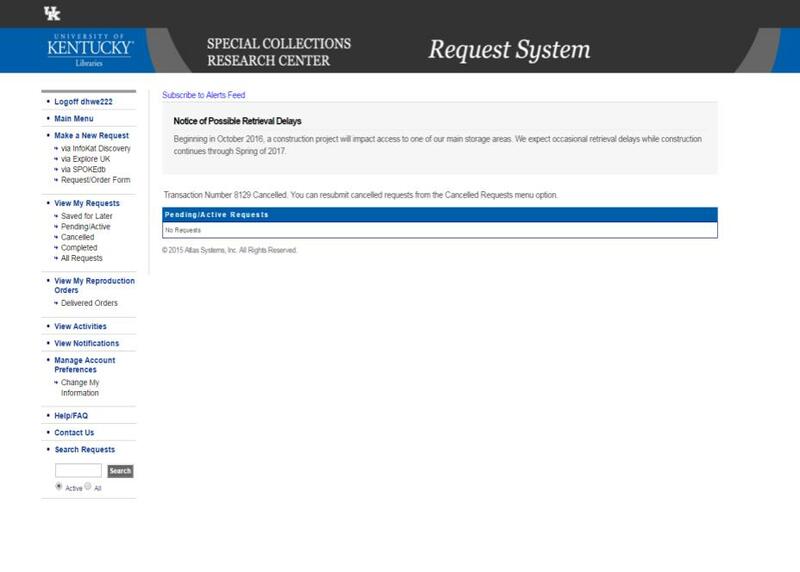 This page contains information on your Research Services Account, requesting materials, using the Breckinridge Research Room, and copyright notices. 4. 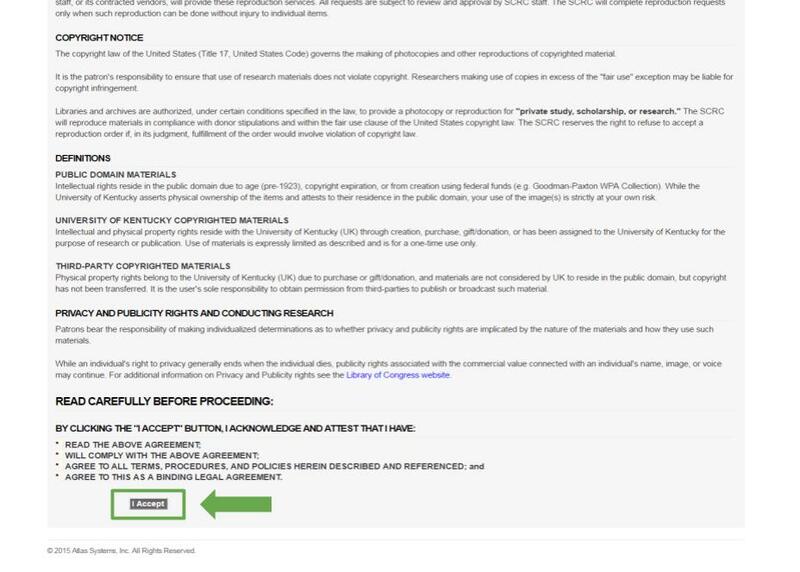 Read through and click "I Accept" at the bottom of the page. 5. 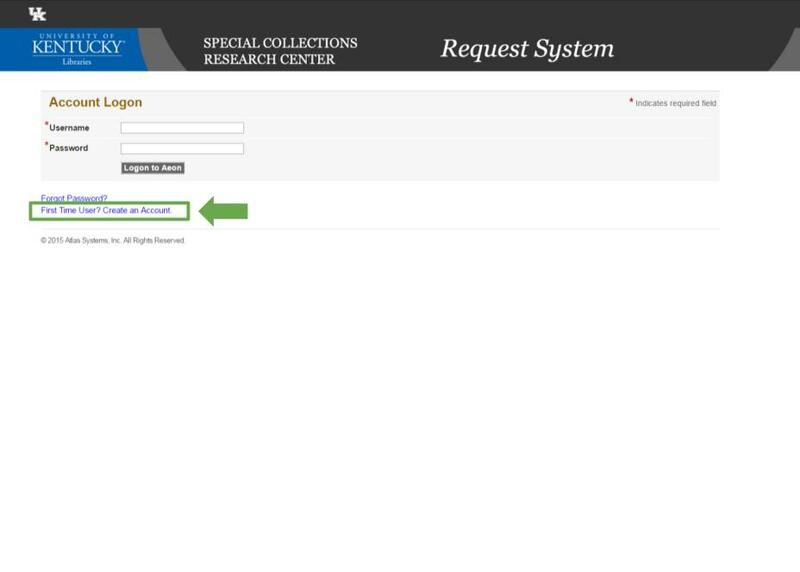 Fill in your contact information and click "Submit Information"
6. Your registration is now complete. 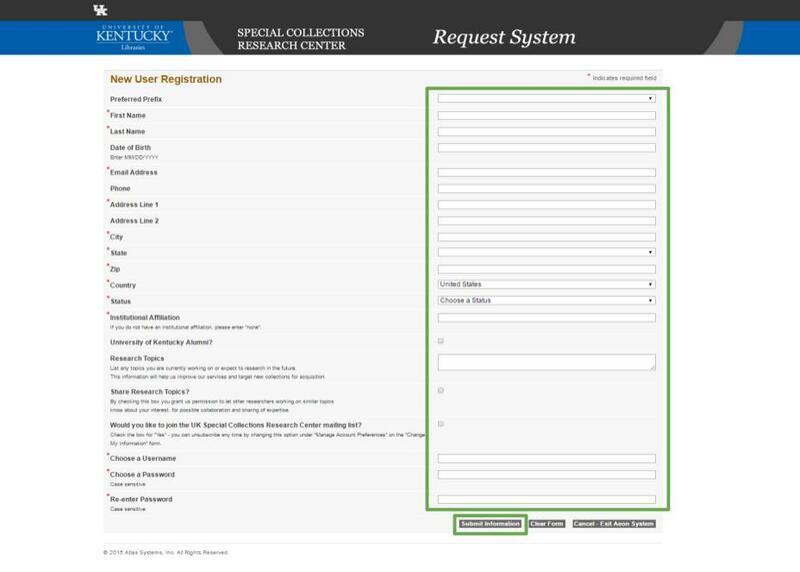 You should see the main menu for your Research Services Account. 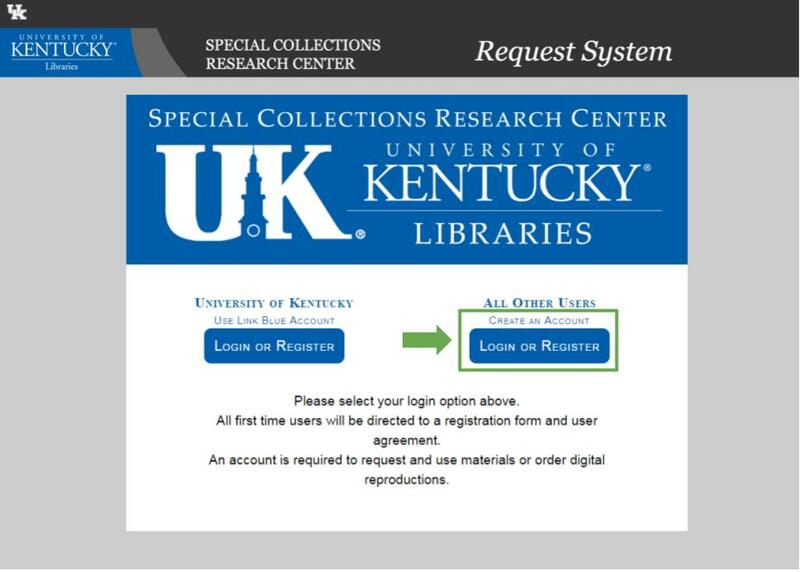 Click the image below for more information about navigating your Research Services Account.